Today’s young people have a broad choice of career opportunities. Seeking students who have an interest in both horses and publishing can be challenging. However, every year since 1993, AHP has discovered talented candidates for its Student Award competition. “Not only does involvement in AHP offer students a chance to learn about a career they may be passionate about, but it has also given equine publishing a long list of talented young people who are an asset to our industry,” Brune says. From a field of 10 applicants, three students have surfaced to the top to become 2016 AHP Student Award finalists. They will be among a long list of students who have applied for the AHP Student Award and earned an opportunity to meet leading equine publishing professionals and discuss career possibilities during the AHP annual seminar. Each Travel Award Winner will receive $750 travel awards to attend the 2016 May the Horse Be with You Seminar in Orlando, Florida on June 16-18, 2016 for three days of educational sessions and related activities. American Horse Publications is pleased to announce the three Student Travel Award winners for 2016. Ema Klugman (Duke University) is passionate about writing, music and horses. Her equestrian experience extends through the two-star international level in eventing with horses that she produced herself, building on the skills she learned through Pony Club. Writing has led to meaningful opportunities both in and out of school. As Editor-in-Chief at Maret School, she led her team to produce an annual publication, The Maret Literary and Visual Arts Magazine. 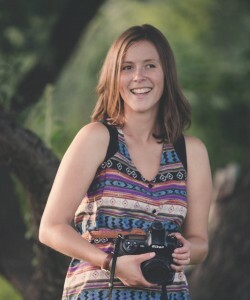 As a staff writer for Eventing Connect, she conceived and produced pieces about twice a week. 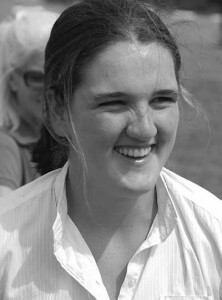 She looks forward to writing and publishing in college and a future career in the equine industry. Ema is the daughter of Jeni Klugman and William Jack, Washington, D.C.
Kaitie Marolf (Kansas State University) has ten years’ experience in the horse world, from Pony Club to competing in several events to working at Twin Mill Farm, a facility of 60-some horses for five years. During the 2014-2015 school year, she was a working student for a hunter/jumper trainer. During her high school years, she won numerous national awards for her stories in the school yearbook and worked extensively on the school newspaper. Currently, she is assistant editor of the college yearbook. She is also pursuing a registered instructor certification through PATH International. She hopes to obtain her Masters in occupational therapy and plans to pursue careers in health and journalism simultaneously. 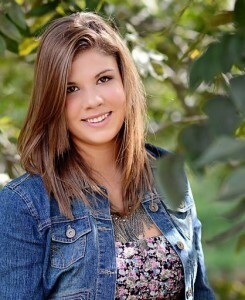 Kaitie is the daughter of Steve and Diann Marolf, Lenexa, Kansas. Bianca McCarty (Colorado Mountain College) has worked at Caballo Iberico, a small Andalusian horse ranch in Eagle, CO, since 2009. In 2012, she graduated with Professional Photography degree from Colorado Mountain College and launched her business specializing in equine photography. Her work as been published in Horse Connection and Equine Journal among others. While attending an international equine photography workshop, she connected with Lusitano World and started working with them. In 2016, she will be representing and marketing Lusitano World in the United States. Bianca is currently pursuing a B.S. degree in Leadership and Management. A native of Germany, she lives in Eagle, CO, with her husband. The three finalists will be interviewed by the Student Award Committee on Thursday afternoon at the AHP seminar in Orlando. One student will be announced as the 2016 AHP Student Award Winner at the Student Party on Friday, June 17, 2016. The Student Award winner wins a cash award of $1,000 plus an all-expense paid trip hosted by Publishers Press to one of their Two-Day Customer Education Seminars in Louisville, Kentucky. The two runner-ups will also receive a cash award at the discretion of the judges. All cash awards are sponsored by AIM Equine Network. American Horse Publications offers students interested in a career in equine publishing with several opportunities to participate in its association. To request information about any of AHP’s student programs, please contact: Judy Lincoln, American Horse Publications, (386) 760-7743, e-mail: ahorsepubs2@aol.com. Information is also available online at the AHP web site at www.americanhorsepubs.org. American Horse Publications is a non-profit professional association dedicated to promoting excellence in equine media and better understanding and communication within the equine publishing industry.